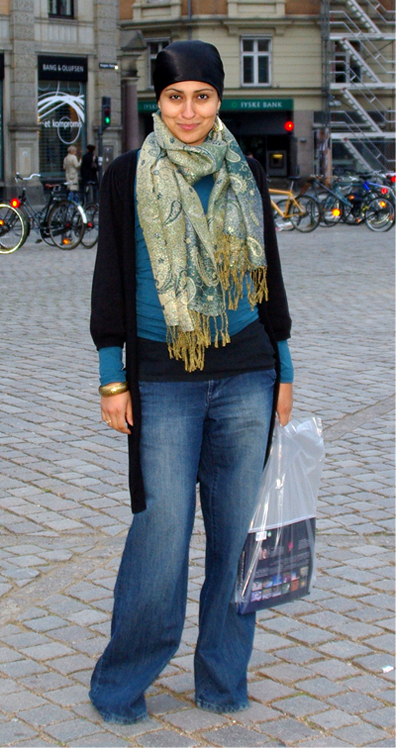 Sweet outfit, wonderful color scheme and fantastic scarf masha'Allah! Hem the pants. It looks like she doesn't have any feet. Other than that... cute. Maybe she's one of those who believe her feet are awrah? So pretty mA! I love her style! She looks great, especially that paisley print scarf!